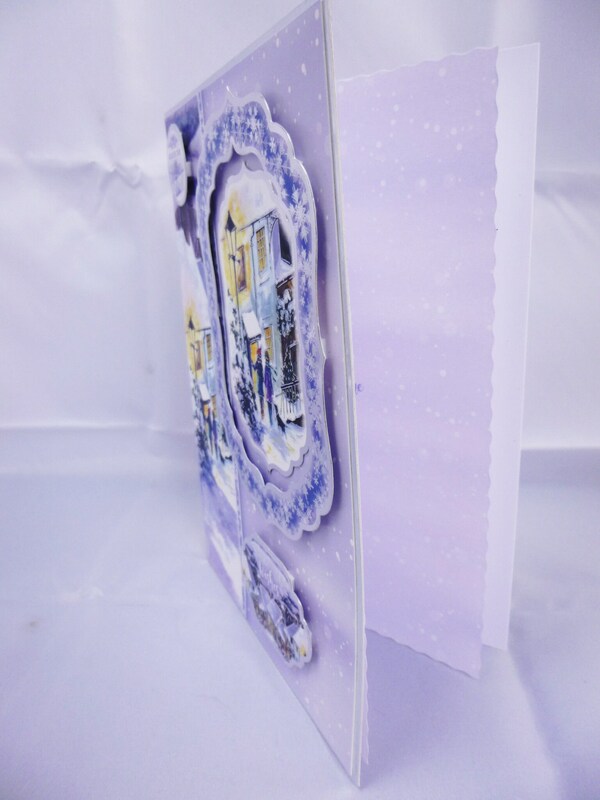 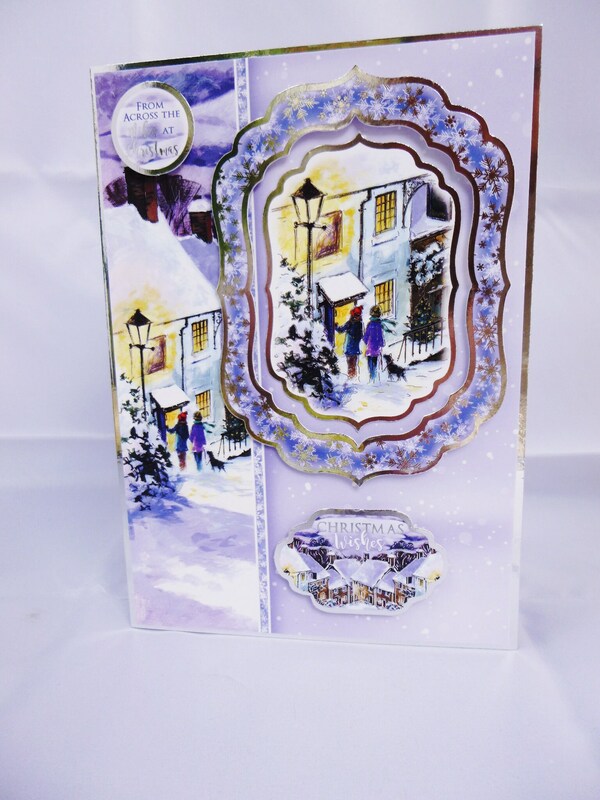 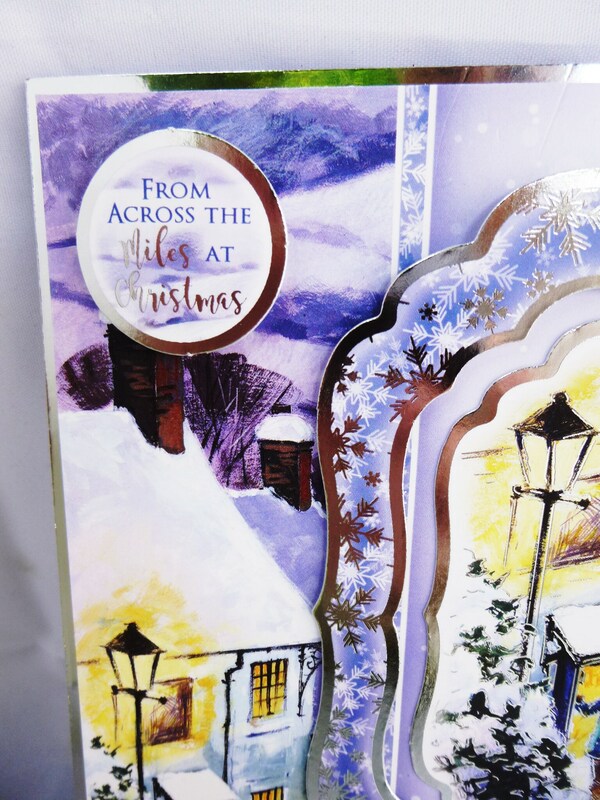 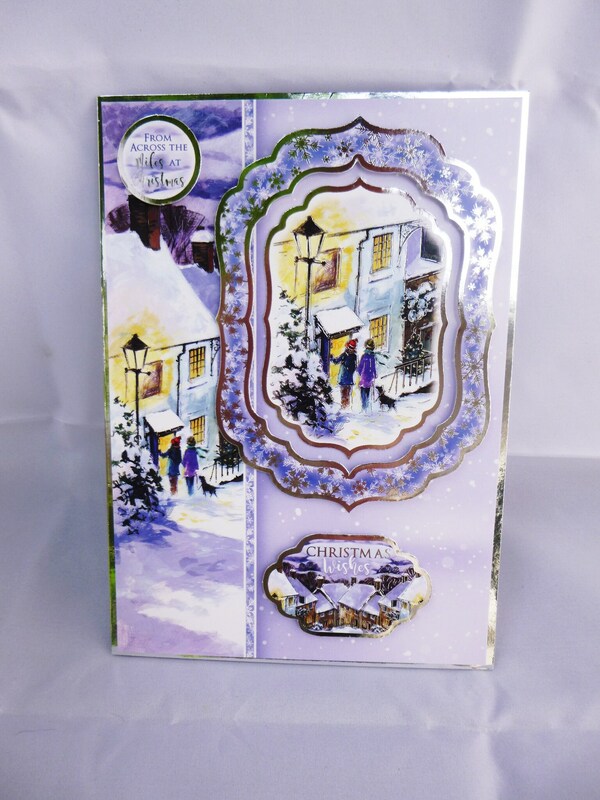 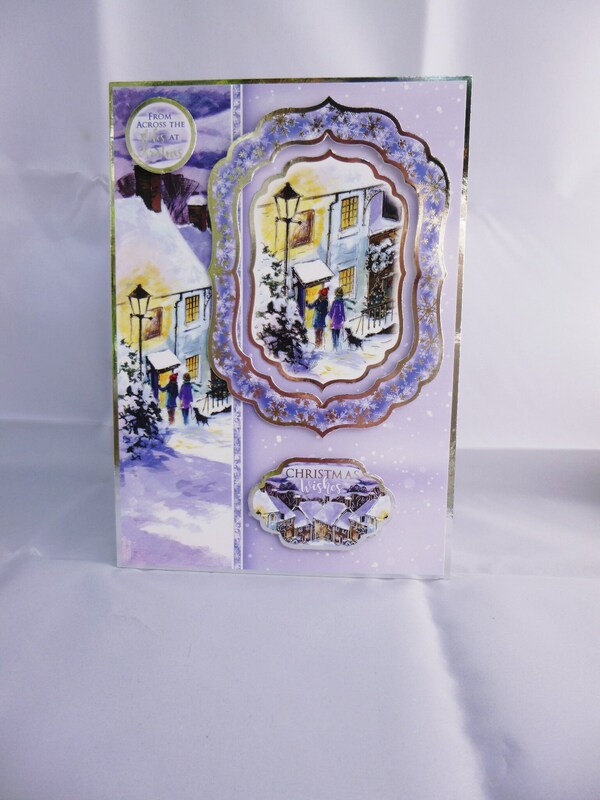 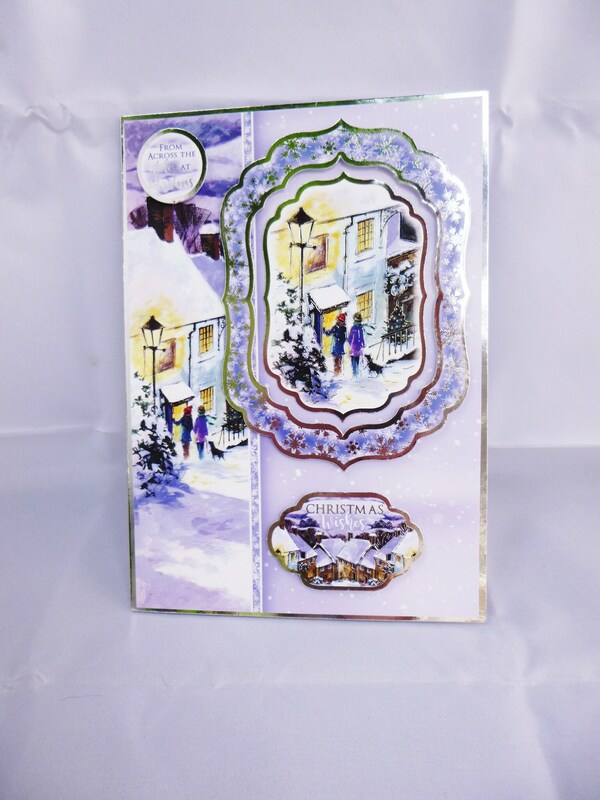 A winter village scene, across the miles Christmas card, made from white base card, layered with silver card and patterned card, with a large shaped silver and blue frame with a topper in the centre of two people knocking on someones door, in the top left hand corner of the card is a sentiment which says,' From Across The Miles At Christmas'. 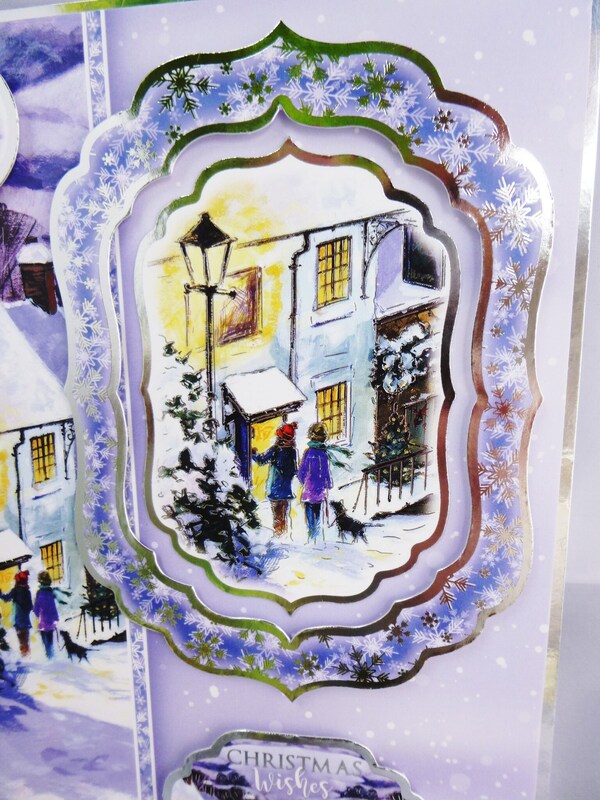 At the bottom of the card is another sentiment which says,' Christmas Wishes'. 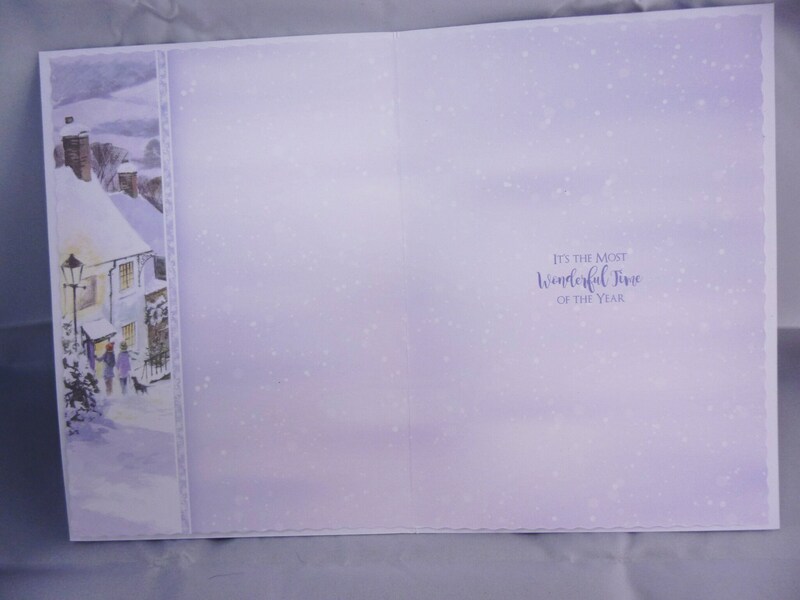 Inside the card is matching insert paper which says 'It's The Most Wonderful Time Of The Year'.